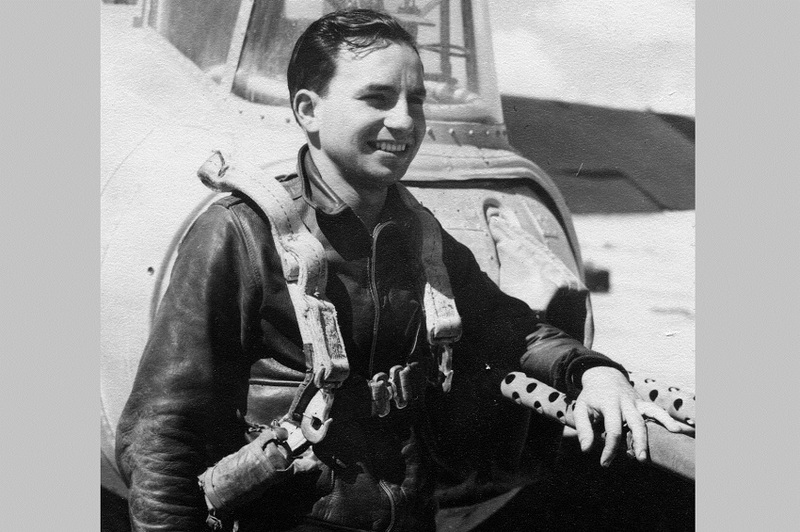 Harvey Shapiro standing next to his plane in April 1945. Courtesy of the author. Earlier this year, on January 7, poet and newspaperman Harvey Shapiro died at the age of 88. For forty years, until he retired in 1995, he worked for The New York Times, and he was editor of the Book Review section from 1975 to 1983.
. . . to demonstrate that the American poets of this war produced a body of work that has not yet been recognized for its clean and powerful eloquence. Comparisons can be odious, but common wisdom has it that the poets of World War I—Wilfred Owen, Robert Graves, Siegfried Sassoon, Edmund Blunden, Isaac Rosenberg—left us a monument and the poets of World War II did not. My hope is that readers of this book will come away convinced that is not the case. Note: Westbrook Pegler was a popular American columnist in the 1930s and 1940s, famous for his criticisms of the Roosevelt administration. Audio: Click here to listen to an audio recording of Harvey Shapiro reading “War Stories” in 2005. The MP3 file will begin playing in a new browser window. My father read the World Telegram & Sun. Sometimes he agreed with Westbrook Pegler. . . .